This is the way a truly independent skate shop is supposed to be. Family- and skater-owned and operated; well-stocked with a diversity of hardgoods from regional, national, and global brands; and being super-supportive of their local skateboarding community, The Sk8Haus is among the very best of the best, a beacon of skateboarding out on the high desert suburban wastelands of Surprise, Arizona. Started about a year and a half ago by Brian Upton (a longtime skater in his own right, and a damn fine one to boot) and his lovely missus (that also skates), Crystal, The Sk8Haus is what I would call a “traditionally innovative” skate shop. On one hand, they have all of the familiar qualities that you would expect out of a classic brick-and-mortar: a home-away-from-home feel, bulletproof customer service and product knowledge, a great amateur team, and all kinds of neat new stuff hanging on the walls. Brian and Crystal Upton, the owners of The Sk8Haus, hamming it up (and having a blast with skateboarding and life). On the other hand: they are always down to try something brand new, in the name of making their customer service, their scene, or their community, even better than it already is. 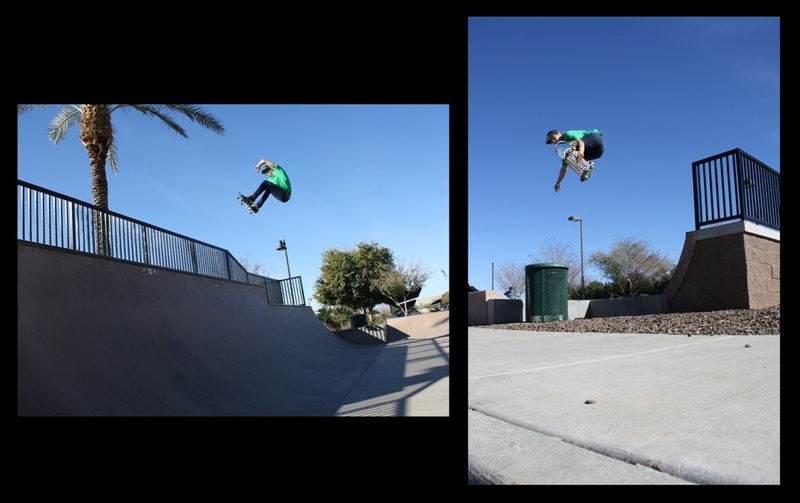 Left: Cover kid Jake Laxson (Everything Skateboarding, March 2018), kickflip front board down the rail at El Mirage. Right: The Am Team, holding it down. This is probably one of the most community-committed skate shops that I’ve come across in the past five, maybe even ten years. 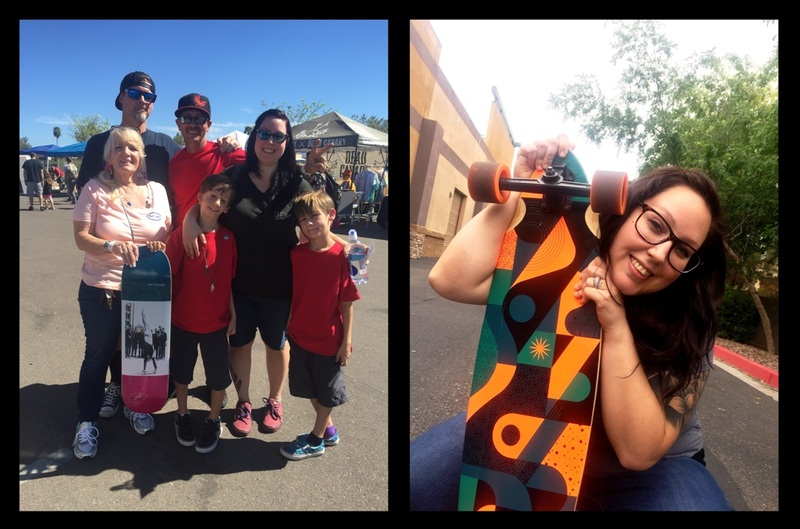 They support virtually every skate event on the calendar, regardless of where it may be in the Phoenix Metro. Considering that Surprise is a solid 30 miles, and/or a painfully slow one-hour drive from my midtown swank pad, that’s saying quite a bit. They have regular art shows, showcasing local up-and-coming artists, so that those burgeoning artists can have that all-important “first solo show” on their resume. They host weekly skateboarding get-togethers, as well as the impromptu, daily skate sessions that pop up behind the shop during “working” hours. 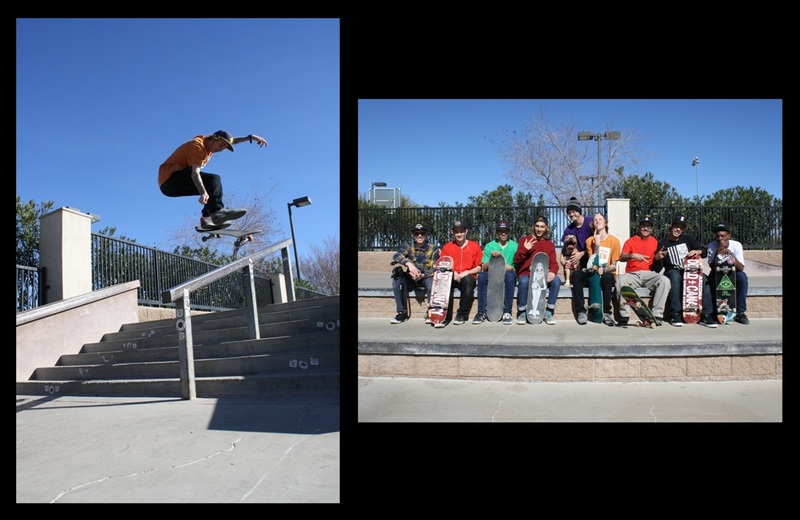 They also organize and host “learn to skate days” at the shop, proving a mellow, relaxed, comfortable atmosphere for the newbies to come out, and give skateboarding a try in an encouraging and empowering environment. Crystal’s involvement is an aberration among skate shops. The woman’s touch insures that the shop represents (and includes) everybody, at all times. It’s super family-, woman-, and kid-friendly. It’s not just “a skate shop”; it’s a legit home away from home, regardless of who (or what) you are, or how long you’ve been skating. Lastly, they also do a lot of outreach among the non-skating community in and around Surprise, to keep skateboarding present and accounted for at larger events where they can represent skateboarding (and represent it right, and well) to the greater community at large. That’s part of the innovation that drives this small business forward. They [wisely] recognize that supplying skateboarding gear to the extant skateboard market… while all well and good… is not necessarily a pro-growth strategy. By marketing and promoting skateboarding to everybody and anybody, regardless of age, gender, or ability, they can grow their customer base organically simply by creating new skaters whenever and however they possibly can. Their product selection naturally reflects this ingrained diversity; I don’t think there’s a shape, size, type, or style of skateboard that The Sk8Haus doesn’t carry. The shop, outside and inside. The shop’s always changing, but the reasons why they do it remain the same. The best part are the smiles. The smiles on Brian and Crystal’s faces whenever I (or anyone else) walks through the front door. The smiles on the faces of their team riders when they get together for a photo/filming session, or when one of them stomps a killer trick. 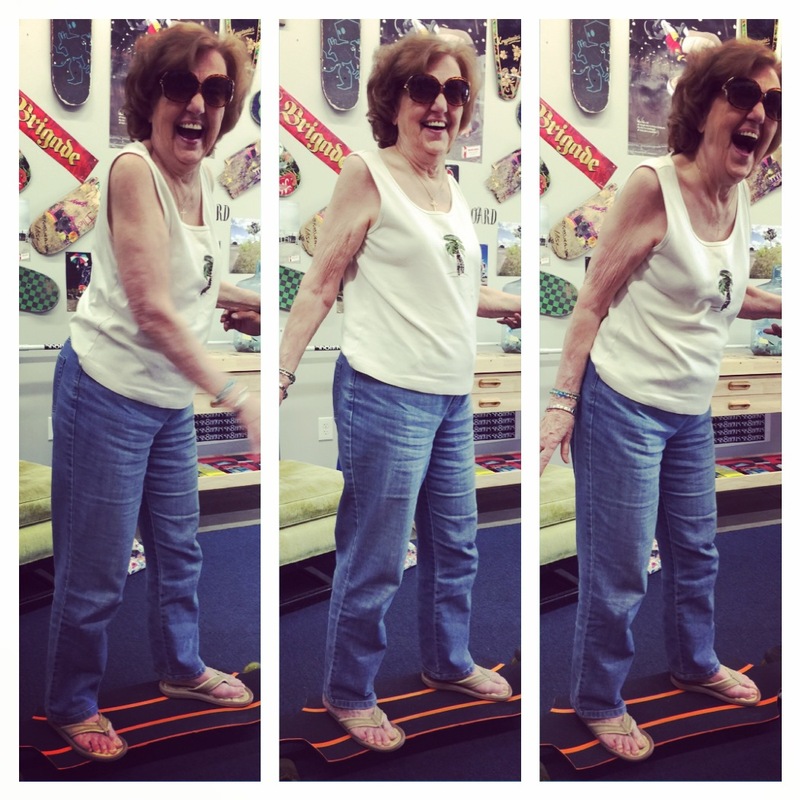 The smiles on the faces of little kids (or the slightly more aged little kids at heart) when they balance by themselves on a skateboard for the first time. Those smiles are the things that I’ll always remember about the time I’ve spent up at The Haus. This is what it’s all about: putting smiles on faces, and sharing the joy of skateboarding. If you like to smile, laugh, and have a good time skateboarding, then this just might be the kind of shop that you’ll wanna check out for yourself. I’d definitely recommend it.